When asked about the worst LEGO themes of all time, many afols will bring up Jack Stone. I think that this is because they have forced themselves to forget that Galidor ever existed. 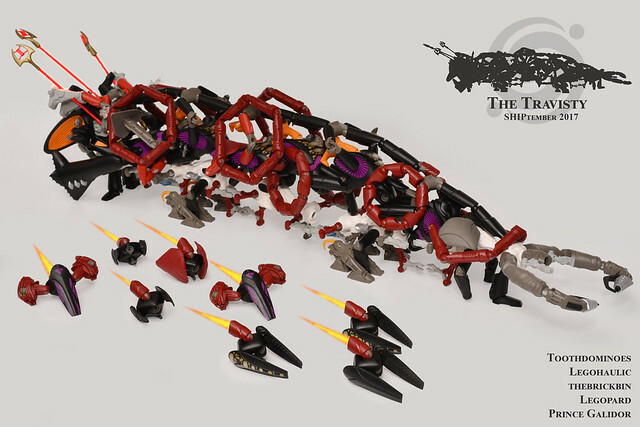 But of course; this is the LEGO community and nothing is useless: the aptly self-titled Prince Galidor presents us with a SHIPtember entry this year built entirely from Galidor parts. The result is a beautiful mess of purple, red, orange and various shades of gray.